Bang all you want. Ring the doorbell. Tap the windows. Peer through the opening in the Venetian blinds. It doesn’t matter. If you are bringing negativity to my door, I’m no longer answering. I’m turning my music up. I’m singing a happy tune. I’m cooking a meal. I’m folding clothes and washing dishes. I’m chasing my toddler and giving him kisses. I’m doing whatever I can to ignore the noise because I’m no longer interested in engaging with negativity and drama. I’m too old and life is too short. My new attitude is “be defeatist by yourself.” In your own space. On your own time. Don’t burst my happy bubble with nonsense about how you were wronged. Always you. Wronged. This doesn’t mean I won’t lend an ear, a shoulder, and my heart if you’re sad or confused or heartbroken. I have time for you. It’s ok for you to vent, yell, or cry. I will listen, commiserate, pass the Kleenex (or wine) and tell you that this too shall pass. It simply means if you want to spill gossip, stay away. If you want to hear gossip, you’re better off tuning in to Wendy Williams and her ilk because I can no longer ignore the mean undertones, the snide judgments, the cattiness and the dishonest diatribe. It impacts my spirit. It saddens me that some people have made a sport out of belittling other people. Once upon a time I wanted to know the 4-1-1 on any and everything. I stayed ready to find out who did what to whom (and what was done about it), who was dating, who was hating, and who was pontificating. This was both for people I knew, and for celebrities who made the news. I wanted details. I wanted to dish. I was drawn to information, and it didn’t matter whether it pertained to me or not. As a journalist, I wrote about stuff that happened on my “beat.” It paid the bills, but it also fed my curiosity. In my spare time, I still craved that level of information, and at times my nosiness took a turn towards salaciousness. These days, I’m jotting down words that build up, quotes that motivate and passages that are awe-inspiring. I’m reading books about triumphs. I’m supporting women who I admire. I’m praying for a kinder world. 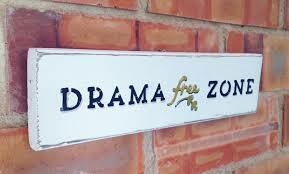 I no longer have an appetite for gossip, negativity or drama. 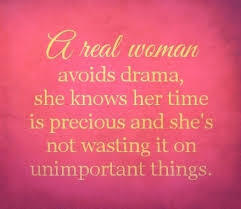 I’m not interested in any of the reality TV shows where women jealously put down other women, backbite, fight, steal each other’s men, and generally don’t support each other. The Housewives. Basketball Wives. If it’s real life, and not a drama, and women are behaving this way, I’m not inviting that into my spirit. It’s not harmless. What we consistently view — just like what we consistently eat — has an impact. There’s too much positive work to be done to continue to engage in nonsense.